What Are the Benefits of Green Architecture? Gabions consist of a rectangular steel wire mesh basket, which when filled with small rocks, forms a section that can be placed into a man-made wall. Dozens of gabions can be locked together and stacked upon each other. Their function provides a barrier to retard and slow erosion processes caused by water or excessive seepage on steep or mild slopes. Gabions have several beneficial advantages to the environment, while they also produce some obvious drawbacks. The construction materials for gabion walls are easy to transport to sites, easy to unload and place. 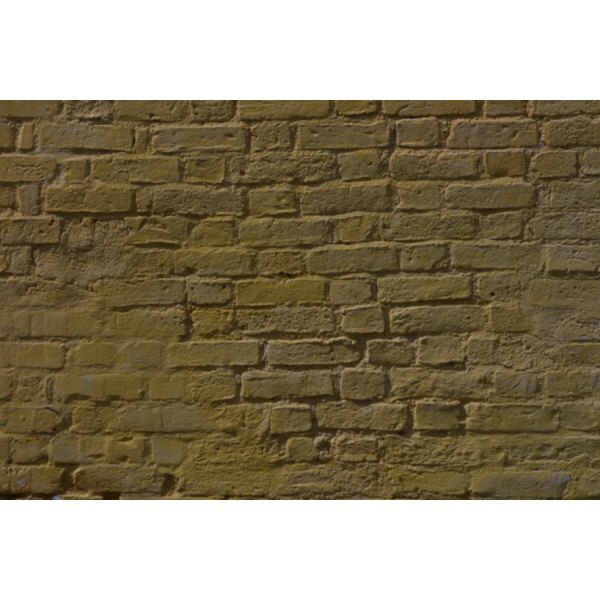 The rock fill comes in various sizes and colors to accommodate the volume and design of each wall, making them customized for each application. The gabions can be placed to follow a grade along a wall, form the banks of stream beds and reinforce dunes in coastal areas. The tops of gabion walls can taper to follow any change in landscape elevation. Speed of construction remains fast. Gabion walls resist breakage and separation, due to the flexibility of their wire mesh construction. They can endure repeated wave pounding and stream flow without disintegration. The gravel and rocks used in gabion construction are natural to the environment and can endure years of wear through water erosion. The galvanized wire used in the mesh resists corrosion and rust. Gabion walls can be used in the formation of pond and damn walls, as well as cladding for building structures. Cement caps can be placed on top of gabion walls, similar to the way sidewalks cap the top of wall structures. Gabions can be used to fashion interconnected beds for slope stabilization, riverbanks and drainage channels. They provide protection against hill and mud slides, where the topsoil is loose and has no root foundation. Gabion walls provide protection against storm surge and wave erosion on beaches and tidal berms. Due to the pebble and gravel construction of gabion walls, the permeability remains good, allowing sufficient natural drainage of runoff, while decreasing the water velocity by breaking it up and dispersing the pressure over a wide area. Gabion structures have suffered a reputation for being unsightly and unnatural in river, pond and beach settings. The front-facing walls appear bland and mechanical in design, rather than form natural-looking rock barriers. Large gabion walls constructed on tourist beaches serve as a distraction, where very thick and long walls must be used to protect large beach areas. If the rocks shift or become worn down inside the metal baskets as a result of heavy water and wave activity, the entire wall must be disassembled to reached the damaged area. For very tall gabion stacks, any damage to the lower areas requires the removal of the upper wall elevations, which can be costly and time-consuming. Although gabion walls offer a good economic choice for most applications, they remain more expensive to install than natural vegetated slopes or riprap. Gabion walls require heavy equipment to construct, since mechanical lifting is required to set heavy walls sections in place. In instances of high velocity streams and wave interaction, gabion wall wire mesh baskets can abrade and tear open, spilling the rock fill. Gabion walls must be inspected on a regular basis to insure their integrity. They must also be immediately inspected and evaluated after any storm, which has caused heavier than normal water flow. How Many Calories Does Water Polo Burn?